I live in Southern California and I see these trees all the time. Usually in shopping center parking lots, or along roadways. The fruits are round, and very fuzzy. The leaves remind me of some kind of maple. 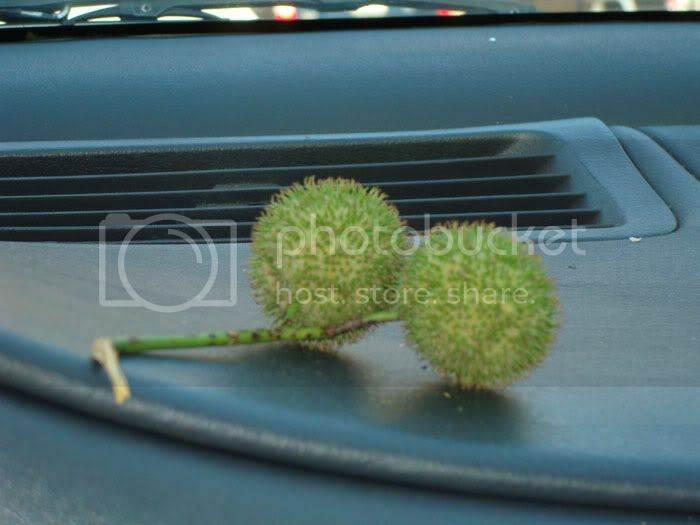 I know for a fact that they cannot be sweetgum balls either. These balls are fuzzy not spiky. I believe those are commonly called Strawberry trees. If my ID is correct, the Latin name is Arbutus unedo. I don't think those are strawberry trees. The leaves are too broad. The leaves of this certain tree have leaves that look just like a maple. I'll try to get a photo later on. 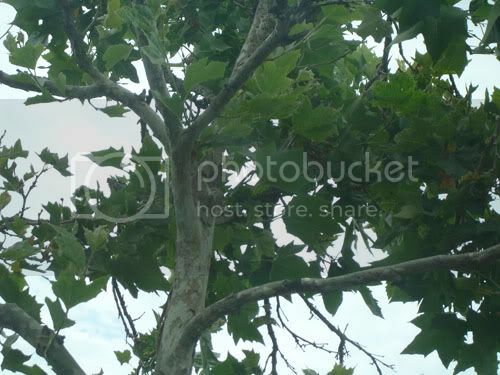 Try American Sycamore, Platanus occidentalis. Does that look more like it? Yes that's it! Thanks alot. So that's an American Sycamore huh? The leaves look strikingly similar to maples, but I guess I was wrong. I took a few pictures anyways because I thought the views look amazing. 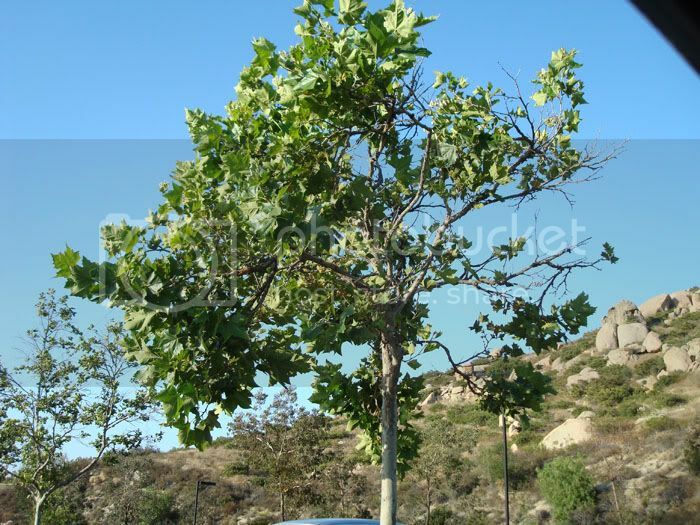 Yes, it's a sycamore tree, but many people know it by the name Plane tree. They are often used in urban landscaping, because they are quite resistant to air pollution, such as smog. Are sycamores the ones that end up with brown balls that breack into little seeds? We have trees around here that drop them, and when you crush them and put them down someones shirt its like itching powder. Mean trick, but I never knew what tree they came from. The picture of the green balls sorta looks like them before they dry out.